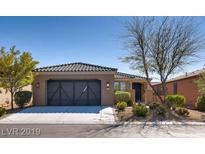 Below you can view all the homes for sale in the Runvee Hobart subdivision located in North Las Vegas Nevada. Listings in Runvee Hobart are updated daily from data we receive from the Las Vegas multiple listing service. To learn more about any of these homes or to receive custom notifications when a new property is listed for sale in Runvee Hobart, give us a call at 702-323-5963. 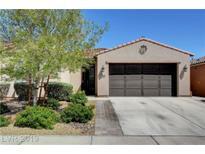 4Ft Extended Garage 2 Pools, Spa, Gym, Tennis/Pickleball, Putting Green, Dog Park MLS#2089899. HomeSmart Encore. Backyard Retreat Spacious Enough For Pool & Outdoor Kitchen! A Must See! MLS#2089654. BHHS Nevada Properties. This home boasts pride in ownership and features over 128k in custom upgrades including a chefs kitchen with custom cabinets, granite counter tops, upgraded stainless steal appliances, open floor plan with built in shelves, upgraded bathrooms, high end custom flooring, custom fixtures, covered back patio with built in BBQ and extended outdoor living space & much more! MLS#2089228. Realty ONE Group, Inc.
Don't forget to step outside to enjoy the outdoors under the covered patio. MLS#2088024. Las Vegas Shorewood Real Estat. Large Home, clean ,ready to move a lot of space MLS#2087836. Choice One Properties & Manage. With many designer touches, this home is a MUST-SEE! MLS#2087865. RE/MAX CENTRAL. Absolutely Stunning 1 Story Home In Guard Gated Ardiente* Solar* 55 + Community With Pool/Clubhouse* Highly Upgraded Home With Real Wood Floors, Tile And Zero Carpet* Luxury Kitchen W/ Granite Counters & Stainless Steel Appliances* Plantation Shutters* Large Master* Huge Walk In Shower* Massive Entertainers Backyard W/ Covered Patio & Above Ground Swim Spa* This Home Has Been Meticulously Maintained & Will Not Disappoint* MLS#2086004. Key Realty Southwest LLC. Featuring granite countertops, custom cabinets, oversized tile floors, fresh carpets, ceiling fans throughout, and very low wear and tear overall, this gem is a steal! All appliances included! MLS#2085848. BHHS Nevada Properties. SS kitchen appliances, 18x18 tile, granite, soft close cabinets, surround sound pre-wire, base cabinet in laundry room, 2 ceiling fans, washer/dryer, USB outlets and more! MLS#2085998. D R Horton Inc.
SS kitchen appliances, 18x18 tile, granite, soft close cabinets, surround sound pre-wire, base cabinet in laundry room, 2 ceiling fans, washer/dryer, USB outlets and more! MLS#2085718. D R Horton Inc. Owner recently spent over $5,000 on a “whole house water treatment system” with a seven stage refiner. This home won't last! MLS#2084360. Realty ONE Group, Inc.
Community features a playground. Easy access to I-15 Freeway. MLS#2084784. GK Properties. 2 Pools/Spa, Gym, Tennis/Pickleball, Putting Green, Dog Park MLS#2084682. HomeSmart Encore. New Garage Door. Too many Upgrades to List MLS#2084665. HomeSmart Encore. Ceiling fans in bedrooms & common areas, along with premier wood floors in living areas! Come & see it today! MLS#2083924. Key Realty Southwest LLC. Horton Single Story Amazing Home, 4 bedrooms 3 bathrooms***Open floorplan, 18x18 Tile Throughout, Vaulted Ceilings, Huge island in Kitchen, Granite Counter-tops, Walk-in Pantry, Undermount Sink, Soft Close Cabinets, Master Bedroom away from others, Walk-in Closet, Spacious Bedrooms, Jack & Jill bathroom, Beautiful Community with Park and Basketball Court, Close to VA Hospital and Freeway Access (215/I15) MLS#2082919. Tri-Star Realty LLC. Large walk in closet. Alumawood patio cover w/lights. MLS#2082124. BHHS Nevada Properties. Beautifully landscaped backyard with covered patio. MLS#2081990. LIFE Realty. Either Tenant Can Stay or Leave.We May Be Able to Have Them Sign New Lease Agreement. Great for Investor! MLS#2081705. Realty ONE Group, Inc.
Back yard features pavers and desert landscaping. Refrigerator and washer/dryer are included. MLS#2081448. Icon Realty. BEST IN CLASS *OPEN TO OUTDOORS W/COLLAPSIBLE GLASS SLIDERS*GOURMET KITCHEN w/GRANITE COUNTERS, BREAKFAST BAR*ISLAND* INFORMAL DINING OVERLOOKING COURTYARD*FRENCH DOORS OPEN TO YOUR HOME OFFICE OR DEN IN SOLITUDE*COVERED PATIO TO RELAX OR BBQ* A SUNNY MASTER SUITE - WALK-IN CLOSET *CUSTOMIZED WALK-IN SHOWER *DBL SINKS * 2ND BEDROOM & FULL BATH WITH OVER-SIZED TUB & SLIDING GLASS DOORS**SOLAR PANELS**RESORT STYLE COMMUNITY W/EVERY AMENITY MLS#2078038. Redfin. All appliances, tankless water heater, water softener, blinds/drapes & alarm system included MLS#2080588. Paradigm Realty. Walking trails & community clubhouse w/all the amenities. MLS#2080043. Executive Realty Services. Beautifully upgraded finishes, TILE & WOOD flooring through out, walk in showers that are designed to be wheel chair accessible~stainless steel appliances, gourmet kitchen~The front and back yard are finished with drought resistant, water efficient, desert landscaping~Super energy efficient home~Ardiente Community offers a 20,000 square foot Clubhouse features two resort-style pools and spa, a 5000 square foot state-of-the-art fitness center! MLS#2079287. Evolve Realty. 2 Pools/Spa, Gym, Tennis/Pickleball, Bocce, Putting Green, Dog Park MLS#2079271. HomeSmart Encore.